A shotgun microphone suspension shock mount with a stand mount adaptor. 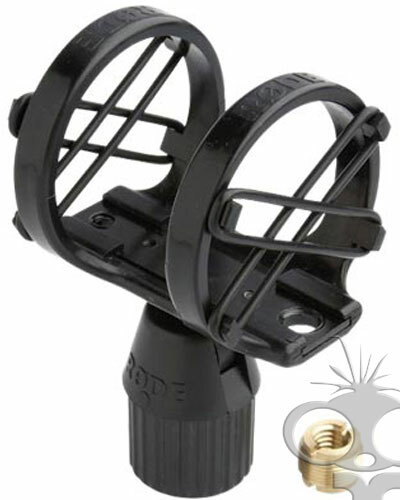 The SM4 shock mount is designed to significantly reduce vibration transmission to shotgun microphones. Features a 4-way rubber suspension with friction tilt mechanism to aid directional positioning. A three way mounting system with 1/4” x 20 and 3/8” x 16 internal threads, a 5/8” x 27 and a 3/8” to 5/8” thread adaptor for Tripod, Boom Pole and mic stand mounting.